I'm sorry if this is the wrong place to post a thread like this and a Mod needs to move it. Anyways, I'm getting very close to finally finishing up a Mechanical Engineering Degree (I'll only have 2 core classes left after this semester). I really enjoy engineering and wouldn't mind working as an engineer for my entire professional life. However, over the last couple semesters I've come to realize that I'm likely never going to be as passionate about engineering as I would like to be. I've been thinking of going for an industrial or automotive design degree once I have my BSME (and have taken a year or so break from school to get settled into a real job). I guess I'm posting here just to find out if anyone has any experience with these types of degrees and if it is even realistic to hope to get one in a reasonable amount of time if I'm going to school part time and presumably working full time. 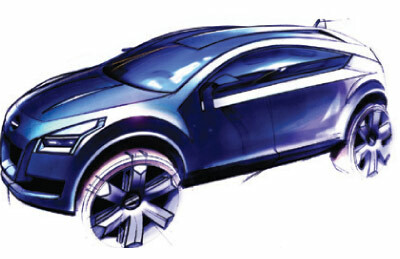 I have a degree in Transport and Product Design from Coventry in the UK. It took me 4 years full time and cost about 10grand. It seemed like a lot of work at the time but frankly I smoke a lot less weed thse days and I think I could do the whole thing in a year now. My degree focussed on combining styling with optimised ergonomics, ie making the car or device look pretty while maintianing or improving performance. We didnt mess with mechanical engineering. Engineers call us the felt tip fairies. We called them solidworks dicks. This is the kind of thing we did in the degree, and in jobs afterward. My degree focussed on combining styling with optimised ergonomics, ie making the car or device look pretty while maintianing or improving performance. We didnt mess with mechanical engineering. Engineers call us the felt tip fairies. We called them solidworks dicks. Its all fun though, often you will sit with an Alias guy foguring out surfaces and be in close contact with the Catia guys who understand all the structures and devices that need styling from an engineering view point. You need strong drawing skills, and a good knowledge of photoshop and preferably Alias. Last edited by Velocity Kendall; February 16th, 2012 at 01:28 PM.